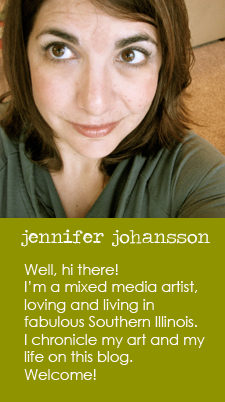 Jen and Ink: New Print and It's on Sale! I've got a brand new print in the shoppe today! 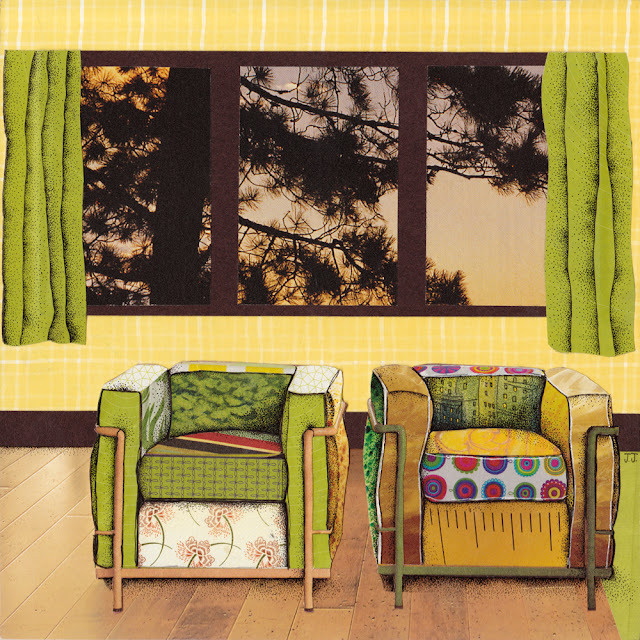 "Color to Live" is an archival 8" x 8" art print that features LeCorbusier's iconic LC2 chairs. 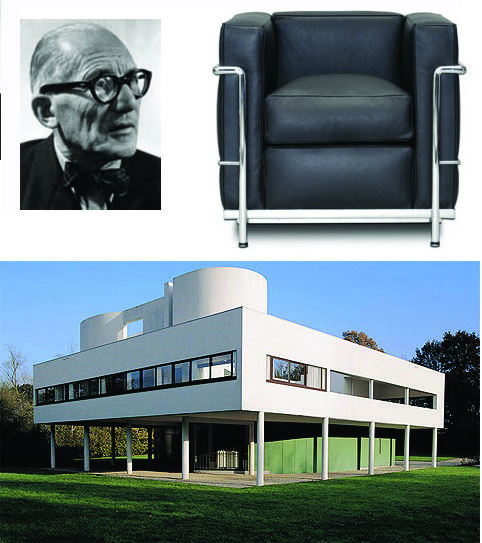 Le Corbusier (who's real name was Charles-Édouard Jeanneret-Gris) was a master of Modern design. He was interested in making clean-lined, efficient yet attractive furniture and architecture. 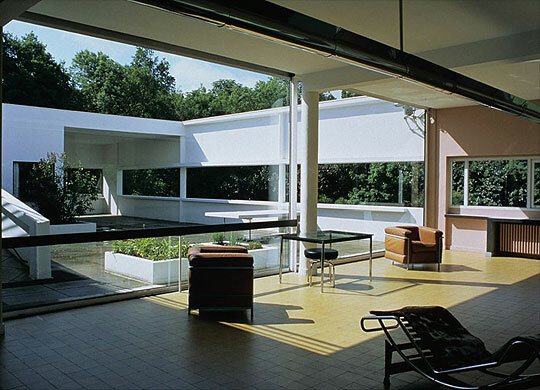 My most favorite of Le Corbusier's designs is Villa Savoye. Constructed in 1929-30 outside of Paris, he called this home a "machine for living." Although it looks severe, and kind of crazy, there was a reason for every design decision he made. The curve of the lower level interior space was designed around the turning radius of a car. The interior space is filled with windows and it flows almost seamlessly into the outdoor courtyard. 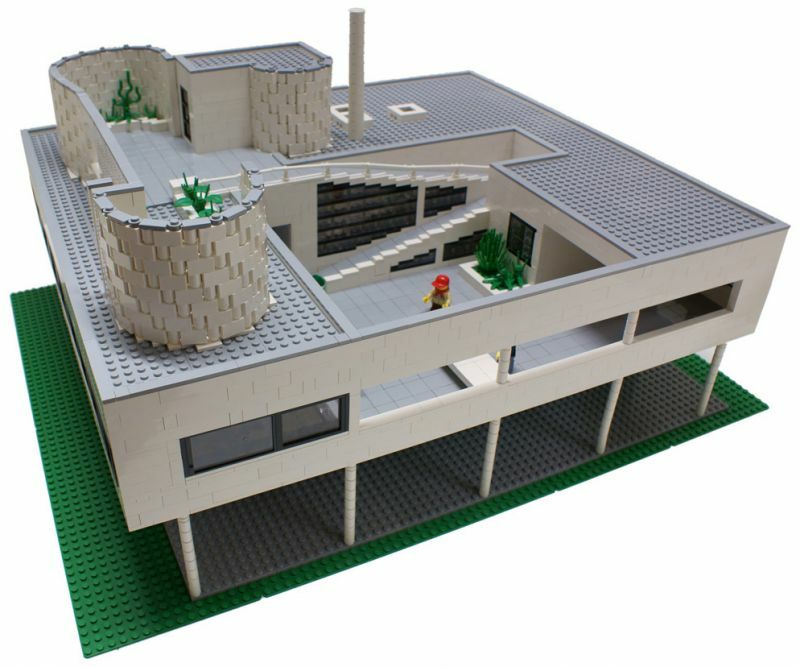 I just adore this lego model of the Villa! Art History lesson over. Back to my art! To celebrate the arrival of this new print in my shoppe, I'm offering this for only $15 ($5 off regular price!) "Color to Live" will only be available at this discounted price until Monday, November 28th. So hurry on over and buy! And while you're at it, head on over to my Papernstitch exhibition for another discount! Woo.